The women’s cross country team earned fourth place at the PSAC Championships and fourth place at the NCAA Atlantic Regional. Photo from SHU Athletics. The Griffins finished the 2018 season with a 1-10 loss at home against the Notre Dame College Falcons. The football team scored an overall total of 247 points this season. Their only victory of the season was against Mercyhurst University at home, 34-33. Quarterback Chris Jones finished as passing leader with 241 yards, with running back Cinque Sweeting leading the rush with 39 yards. Wide receiver Ardell Brown caught 10 passes for 160 yards, and linebacker Teegan Hahn and defensive back Jayden Emberton-Gaines each led the Griffins with seven tackles. Former Coach Isaac Collins and the rest of his staff were let go by the university on Nov. 13. A national search is being conducted for a new coach, who will be the school’s fourth coach. The fall 2018 season for the men’s cross country team started at the Doug Watts Duals in Edinboro, Pa. The women’s and men’s teams both opened their seasons there, the men’s team placed fifth with 130 points. At the Canisius Alumni Classic in Buffalo, N.Y., the team came home with eighth place. 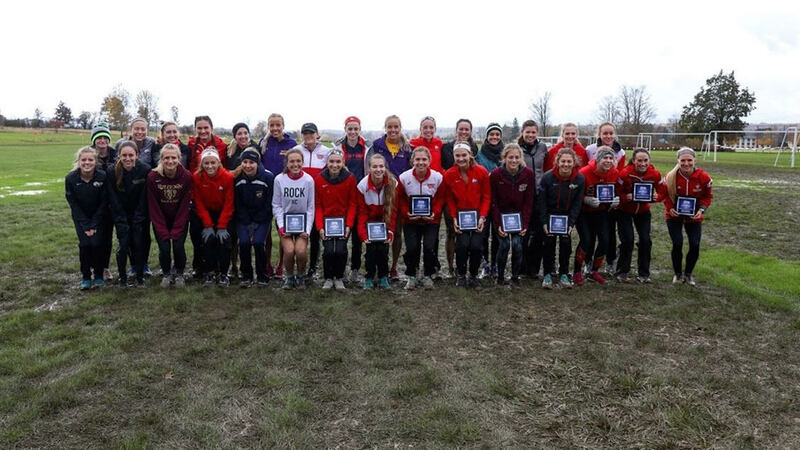 The PSAC Championships held in Edinboro, Pa. proved to be successful, the team ranking in 11th place, and the NCAA Atlantic Regional from Pittsburgh ranked the team in 14th place. For the 2018 women’s cross country team, the team started off the year at the Edinboro, Pa. Doug Watts Duals. The team finished with 80 point in third place. At the National Catholic Invitational, the team traveled to South Bend, Ind. to finish fourth. At the PSAC Championships at Edinboro, Pa. the women’s team finished fourth place. The women ended with 154 points. Skye Christian led the women’s team by finishing in third place. That’s the best finish since Chelsea Poole was second in 2016. At the NCAA Division II National Championships, Christian ran her second time there. She qualified as an individual with a seventh place finish at the NCAA Atlantic Regional. Christian and Caitlyn Padgett earned All Region honors on the women’s side. 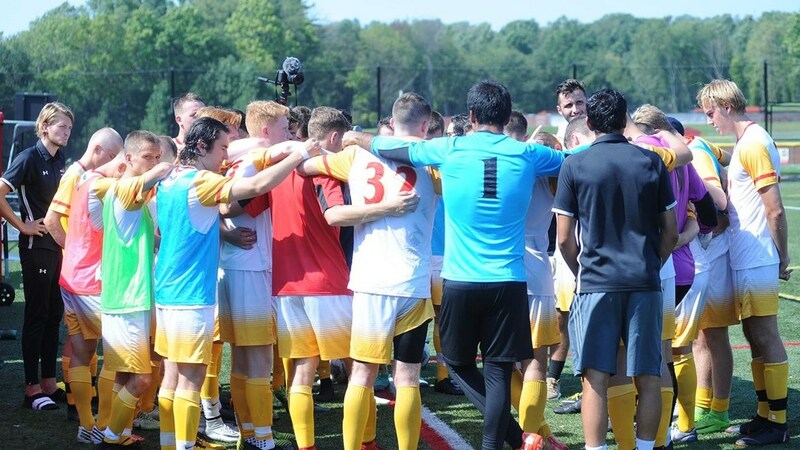 The men’s soccer team huddles during a game. This season, the Griffins advanced to the playoffs and fell to Millersville University in the PSAC semifinals. Photo from SHU Athletics. The Griffins finished the 2018 fall season 7-5-7 and 4-2-4 in the PSAC. The Griffins were defeated in their last game of the season at Millersville losing 0-2. Sophomore forward Alex Dysen led the Griffins with 14 total points earned and five goals. Sophomore forward Henrik Berg tied Dysen with five total goals scored on the season. Freshman forward Tormod Simonsen led the team with eight total assists for the season. Prior to the PSAC semifinals, three of the Griffins were named to the All PSAC Men’s Soccer teams. The Griffins who were chosen to the second team selections include Berg, junior defender Lloyd Davies and freshman midfielder Per Stenseth. This marked the first all conference award for Davies and Stenseth. Berg earned PSAC Freshman of the Year and a first team selection in the prior season. The Griffins finished the fall season 12-5-1 and 11-4-1 in the PSAC. The Griffins were on a 4-0 win streak heading into their last game of the season at Millersville. The team was defeated in their last game of the season 0-2. Redshirt junior forward Italia Biondi led the team with 10 total goals scored and 23 total points earned during the season. Senior forward Emily Lopresti led the Griffins in six total assists and had the second most goals scored with six goals. Three of the Griffins from the women’s soccer were named to United Soccer Coaches All Atlantic Region Teams. The Griffins who were selected included, senior goalkeeper Jessica Neill (first team selection), Lopresti (second team selection) and Biondi (third team selection). This marks the first USC All Region selection for Neill and Biondi. Lopresti has made the selection all four years of her career, making third team selection during her freshman and sophomore season. She has made second selection for two consecutive years. Junior Ana Salazar swings at the tennis ball during a competition. The tennis team finished the fall season with a 7-0 victory. Photo from SHU Athletics. The Griffin equestrian team participated in five region shows throughout the 2018 fall season. The home show at Bloomfield Stables ended with a setback for the SHU equestrian team as the 29 points they earned put them in second place in the region by one point. Freshman Kaitlyn Krueger won two first places and earned title of High Point Rider for the show. Freshman Summer Black earned the title of Reserve High Point Rider with a first and second place. SHU’s equestrian team earned 37 points in the fourth show of the season at Bethany College in Wheeling, W. Va. The show put SHU first place in the region. Junior Alexis Kupic and Krueger both earned two first places and title of High Point Rider. The final and fifth show of the season at Allegheny College earned the team 42 points while maintaining first place in the region. The SHU equestrian team earned High Point Team for every show of the season. The women’s golf team kicked off the 2018-19 season in Daniels, W.Va. SHU finished seventh in the tournament while Mercyhurst took first place. The next event took place at Evann Parker Memorial in Erie, Pa., where the Griffins took ninth place. This season, senior Megan Smoulder was named PSAC Women’s Golf Champion Scholar. Smoulder is the first PSAC women’s golf athlete to earn the award in consecutive seasons. The Griffins finished the three day tournament at the PSAC Championship with eighth place and a combined team score of 1,077. Field hockey finished the 2018 season winless as they faced a very tough schedule. 10 of their 18 games were against opponents ranked in the Top 10 in the nation. Junior Caitlin Bray led the Griffins with seven points in the season, while sophomore Zyah Newsome had four points. 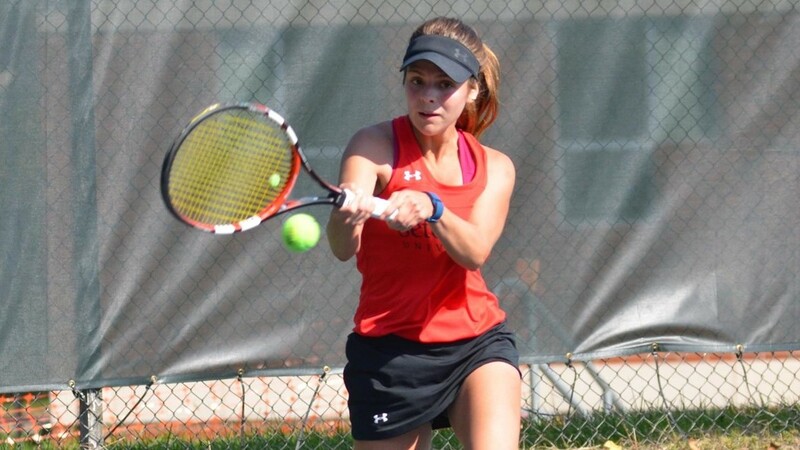 The Griffins finished their fall season in October with a home match against Shippensburg University. The team won all three doubles and all six singles matches for a 7-0 win. SHU is now 3-3 overall and 1-1 in PSAC play.